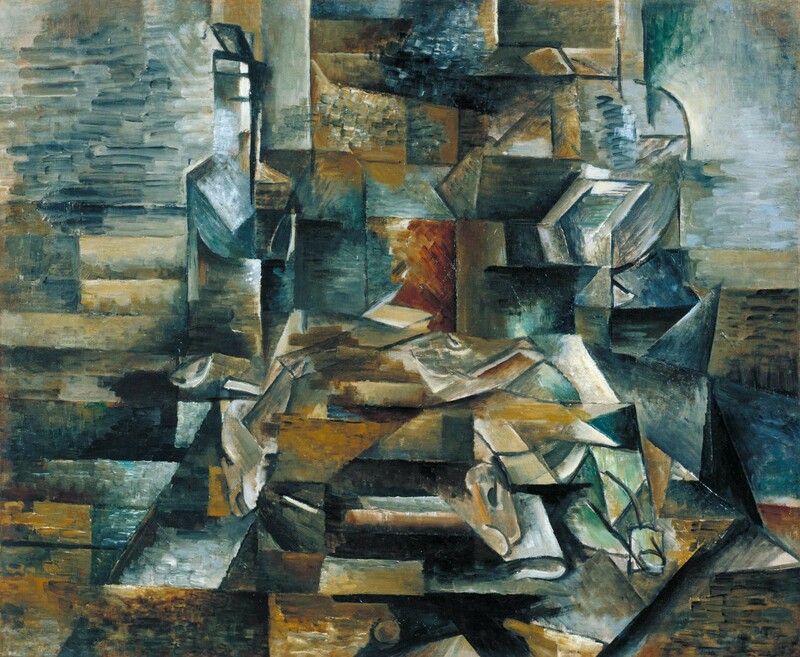 Braque Bottle and Fishes c.1910–2 (Tate). /proc just like analytical cubism displays a process through many angles. The proc file system is a virtual file system. It’s sometimes referred to as a process information pseudo-file system. It doesn’t contain ‘real’ files but runtime system information (e.g. system memory, devices mounted, hardware configuration, etc). It acts as an interface with the kernel. Looking into the subdirectories and files, one can not only read the information, but also change certain kernel parameters at runtime (and more, see below). Here I will focus on reading process specific information. I will use a simple script (infinite_loop running continuously in another terminal than the one I am using to type commands) to give examples. /proc contains one subfolder for each process currently running. This folder is named after the process pid. Below I give an exert of what it looks like for my toy script. All files and directories show a size of 0, but as I will read them, it will be obvious they are not empty. I wanted in a script to compare the number of pids in ls /proc, and ps aux. The result, as expected is in both cases I get the same number of pids, with one pid present in one output and not the other: the pid of ls and ps processes respectively. It displays the currently mapped memory regions and their access permissions. The address field is the address space in the process  that  the  mapping occupies. inode is the inode on that device. 0  indicates  that  no inode is associated with the memory region, as would be the case with BSS(uninitialized data). The pathname field will usually be the file that is backing the  mapping. [stack] The initial process's  (also  known  as  the  main  thread's) stack. It looks like all the different address fields are continuous. This is because we observe the virtual memory layout of the process. For each process the kernel creates a mapping between the physical memory and the hardware. •Data which is not used at run-time; since not needed it should not be loaded at startup. Modern operating systems and processors can protect memory regions to allow and disallow reading, writing, and executing separately for each page of memory. Now there are the mappings, where can we access the memory? The proc man page explains: This file can be used to access the pages of a process’s memory. So let’s do it. Reading above, the heap is both readable and writable. Is it possible to open the mem file, locate the heap, inside the heap locate the string the infinite_loop is continuously writing and overwriting it? It is also possible to do it in gdb. Breakpoint 1 at 0x4005dd: file infinite_loop.c, line 13. $1 = 0x20ad010 "Hello World"
$3 = 0x20ad010 "Good Night"